Pregnancy is a state of high metabolic rate. The foetal growth is very rapid especially during the initial months when organ systems are forming. The growing foetus requires calories, vitamins, minerals and other nutrients. All this reaches through placenta and umbilical cord. The foetus is absolutely dependent on the mother for nutrition, any deficiency of which affects growth adversely. 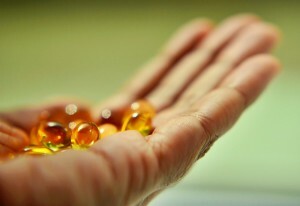 What is the role of vitamins in relation to pregnancy? Usually the balanced diet contains all the vitamins. A concern occurs due to increased demands of pregnancy which may not be met by the regular diet; hence supplements are required to promote normal foetal growth and also to prevent congenital anomalies. Though a balanced diet contains most of the nutrients, certain supplements are certainly required because of their increased demands. They are discussed below. A deficiency of folic acid is associated with neural tube defects. This is easily prevented by a daily supplement of 400 micrograms before and during pregnancy. The CDC (Centre for disease control and prevention) guidelines recommend regular consumption of folic acid during pregnancy. Consumption of foods fortified with folic acid is another method of intake of this vitamin, though folic acid supplementation is still recommended. Some of the fortified foods include cereal, bread, rice and pasta. Scientific studies have shown that the prevalence of neural tube defects reduced by 20% after consumption of fortified food. In a woman with prior history of neural tube defect in her baby, the risk of recurrence by more than 70% with daily folic acid supplementation. If the dietary intake is adequate, routine supplementation is not required. Beta-carotene, the precursor of vitamin A is found in fruits and vegetables. A deficiency of this vitamin during pregnancy may result in maternal anaemia and spontaneous preterm birth. This is due to the fact that vitamin A plays a role in iron absorption. A deficiency of this vitamin is also associated with increased incidence of infections. On the contrary, a very high intake has been reported to be associated with birth defects in some case reports. Usually the balanced diet contains all the vitamins. Foods of animal origin are the only natural source of Vitamin B12. It is well known that pure vegetarians may give birth to infants with poor vitamin B12 stores. Similarly, since the breast milk of a vegetarian mother contains minimal amount of vitamin B12, its deficiency may become significant in the breast-fed infant. Since the level of vitamin B12 gradually decreases with advancement of pregnancy, adequate supplementatios is essential. Another reason for deficiency of vitamin B12 is an excessive intake of vitamin C.
Usually supplements are not required in health women. In patients especially prone to inadequate nutrition like cases with substance abuse, adolescents and women with multiple pregnancy, a supplement of 2 milligrams is advised. A healthy diet is adequate in providing about 80 milligrams of vitamin C daily. What is the nutritional advice given to these women? Though many supplements are available in the market which boasts of ideal composition, a more physiological and natural approach should be applied towards these women. A woman should be able to eat what she likes and is tasty. Ample amount of food should be made available, especially in people who have poor socio-economic status. Regular monitoring of weight and any features of nutritional deficiency including vitamin deficiency should be done during antenatal visits. All essential supplements should be given along with the dietary advice. Pregnancy requires the provision of nutritional support for two lives simultaneously. Since the intake has to occur through mother only, supplements are required. The aim is to have a healthy baby at the end of pregnancy. The mother should continue supplemental nutrition since she has to meet the demands of breast feeding for next few months to a year. ← Blood in urine – what are the causes in men?